The Life GPS® helps you lead and live at your best. Thousands of people around the world have used the Life GPS® to help them be at their best at home, work, and in their community. Big change starts with small steps consistently taken. 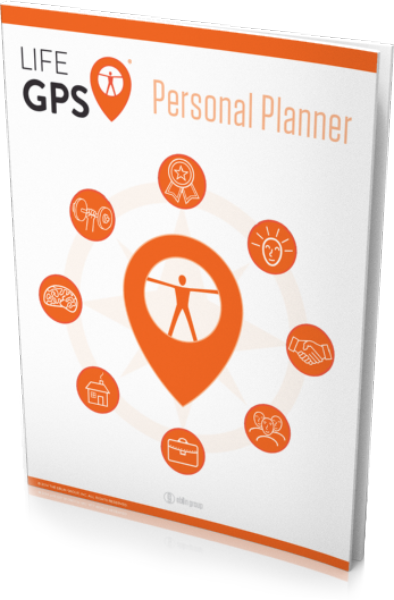 When you complete your own Life GPS® you’ll have a one page personal leadership strategy that will guide you on that path. The Life GPS® Personal Planner helps you do that. This downloadable guide includes an introductory video from Scott Eblin, a self-assessment, scoring guide, chapter references keyed to your self-assessment results and an editable Life GPS® worksheet. Instant download of PDF upon purchase.